The Bible App turns 10 today, I thought I would share their celebration video with you! There is more information on their blog about this celebration. Also, why not join the mid year challenge and start a reading plan today with YouVersion! Over Memorial weekend we were able to visit family in Ohio and Pennsylvania, share our ministry with Swatara and see many people we haven’t seen in years and visit NYC – one of Joshua’s wish list items. It was a great trip creating many great family memories. It made me think of the last time David and I were in NYC. I thought I would share the differences through our pictures. Streets lined with seekers trying to find loved ones and memorials of lost loved ones. Tower footprint at the 9/11 Museum & Memorial. Today marks ten years in Wycliffe! It’s also our wedding anniversary. In some ways it’s hard to believe it’s been ten years and in other ways it’s hard to believe all that has happened in our lives over ten years. We’ll be sharing some posts from the past ten years and intertwining some new posts too throughout this celebration year of one decade in service with Wycliffe. Thank you for being part of our ministry! Customer support of the YouVersion Bible app is not the correct title for what I (David) do to help people engage with the Bible app. I am a user advocate, I want to help people engage with the Bible in a language they can understand I want to share the challenges that many around the world have with being able to access it. 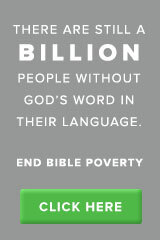 I want those on my team to have a passion not only for the Word of God but a desire to make it accessible. Are youversion bible haven’t bible in madura language ? I did a quick search and I saw we do not have the Madura Bible available in the app. Although we have the Bible available in 1188 languages we do not yet have this Madura Bible easily accessible on your smart phone anywhere. Why is this important? There are over 7 million speakers of Madura and less than 0.1 % are professing Christians. I was able to share the link to the audio Bible that is available from Faith Comes by Hearing and I also sent a link to the Indonesian Bible Society where they can purchase a hard copy of the Bible that was completed in 1994. Please pray with me for the continued partnerships of Bible Societies around the world as we add additional languages to the YouVersion app. And for the many developers and administrators that are working to overcome some of the various technical challenges of adding languages whose alphabets are not currently available on mobile devices. Pray with me for this user who is searching for the scriptures in Madura. Pray that God will raise up the estimated 150 workers that will be needed to reach the Madura people. Bonne Année (Happy New Year)! We pray that your 2018 is filled with overflowing blessings. We decided this year to take a family trip for Christmas rather than purchase more stuff for the boys. We wrapped clues and they figured it out much faster than we had hoped. Our destination was San Antonio. We had been looking forward to warmer weather, the forecast before leaving was mid-50’s, however, it didn’t get above 42 degrees. We had fun regardless of the cooler conditions. We had a couple of stops along the way. Our first stop was to stay with and visit some great friends who always make us laugh. We were playing a game called Watch Ya Mouth – guaranteed laughter! Our next stop was my Christmas present. I love the show Fixer Upper! This is a happy place! We had a great “unplugged” time in San Antonio taking in all the sights, sounds and wonderful tastes.